We have documentation, however, that the PNEU students were indeed directed in areas of nature observation and study. Even Form I students were instructed by the programmes to “Find and describe (a) six wild flowers; watch, if possible, and describe (b) ten birds, and (c) five other animals.” I suspect if left to their own devices, they would still be able to answer the exam question put to them at the end of the term: “Describe two wild flowers you have found and two birds you have watched.” This indicate that students received some direction. Later, programmes for Form II students direct them to, “Record and describe twenty wild flowers and notice all you can about them.” The very next term, that same class is directed to, “Record and describe fifteen wild fruits and fifteen creatures and notice all you can about them.” That’s more than one per week, and surely required some specific guidance to accomplish. The duck is from our incubator. So, how do we balance these two ends of the spectrum? On one side we are advised to aim for a relaxed, child-led nature study time, but on the other end, we need to know that they actually are amassing a store of natural history knowledge. Thankfully, special studies bring the two into balance beautifully, though there is actually very little written about “special studies” in particular. In fact, Charlotte Mason only uses the term twice in the whole of her 6 volumes. This robin’s nest is just outside my office window. I have been watching it while I work. How, then, do you make a special study work? I suggest you begin by picking two or three areas of focus each term. In the programmes and exams we see students being directed to look at birds, flowers and other animals, or they are directed to consider one animal and one plant. Picking something seasonally relevant is advised, and, in almost every case, you should pick something that you can observe regularly. Remember that the tabby cat that lives in the yard will give a good head start to learning about the lions in Africa. Despite varying ages, everyone can do the same special study, but that is not necessary if your older children want to follow a more independent path. During this term, my little homeschool is continuing the crystal study, which we started last term. We finally got the hang of growing some good-sized alum crystals, and we aren’t ready to give it up yet. We are also focusing on the tree buds in our yard. Last fall we moved, and I grieved the loss of the vegetation at our former home. But as the spring buds are bursting forth here at our new home, bringing to life a new cast of characters, I am filled with joy! I haven’t picked another special study yet, but I suspect we will focus on at least one more, depending on where our interest takes us. Your list likely will look completely different from mine. Maybe you will pick a pet or an animal that you typically see in your yard, like a squirrel. You might choose a special study based on something your kids are currently interested in, like rocks, astronomy, or the weather. If you are planning a trip to the seashore, consider a special study specific to the nature in that locale. A crab we observed while on our beach trip. Our next step is to gather living books that will teach us something about our special study topic and inspire and guide our observation. If your whole family will be studying the same topic, then gather books of various reading levels. For instance, when studying cultivated garden flowers your younger children might enjoy a picture book like The Gardener by Sarah Stewart, or The First Tulips in Holland by Phyllis Krasilovsky, while your middle grade student would surely enjoy The Poppy Seeds by Clyde Robert Bulla, or The Red Poppy by Irmgard Lucht. Your older student might be ready to dig in a little deeper by using something like Bulbs, Corms, and Such by Millicent E. Selsam, or Look at a Flower by Anne Ophelia Dowden. Try to pull in a variety of book styles. Picture books can be wonderful for all ages, like Rocks in His Head by Carol Otis Hurst, or Snowflake Bentley by Jacqueline Briggs Martin. Fictional stories can be just as educational as non-fiction, such as The Hole in the Tree by Jean George, or Wolfie by Janet Chenery. Books that seem like a textbook can still be used for reference, but otherwise avoid them. There are plenty of books that include lots of details while still maintaining their “living book” qualities. For instance, Rabbits by Herbert Zim, or The Amazing Dandelion by Milicent Selsam. More in-depth books might be useful for older students as well, like The Earth Moved: On the Remarkable Achievements of Earthworms by Amy Stewart, or The Travels of Monarch X by Ross Hutchins. There are so many great books for us to choose from! I am regularly adding to the natural history list on my blog if you would like to see more ideas. Buy a few, check a few out from your local library, or order them through interlibrary loan, and then read them during your morning lessons, which should include natural history. The living books we read usually inspire the object lessons we do in our home. For instance, recently I was reading aloud a section of Out of Doors in Winter by C.J. Hylander, called “The Twigs of Deciduous Trees”. When the author began to explain the various aspects of a chestnut twig, one of my kids remembered that we have a chestnut tree on our new property. So, they ran out to get a twig from it. Then, as we continued reading, we were able to study the actual twig. We identified the terminal and lateral buds, the leaf scars and even counted how many years old our twig was. Another day, we read The True Book of Buds by Helen Ross Russell. The children in that book cut twigs from several different trees, brought them indoors, and placed them in vases of water, so they could watch them change. It came as no surprise to me that before the day was over my kitchen table was decorated with vases of twigs, and over the next several weeks we enjoyed watching dogwood, redbud, chestnut, and crab-apple buds open. As you can see, not all object lessons need to be prepared ahead of time by a parent or classroom teacher. However, I do find it is a good idea for teachers to read the section in the Handbook of Nature Study on any particular special study topic chosen, in order to prepare ourselves with a bit of background knowledge. Charlotte Mason makes it very clear that 1) we are not to give all the answers, 2) we should be comfortable saying, “I don’t know,” when we do not know, and 3) despite the above two, we are still expected to educate ourselves on the natural history subjects to be studied by our pupils. In addition, The Handbook of Nature Study offers some great object lessons in case the books you are reading don’t inspire you and your students. You do not have to read the whole tome, just the few pages on the topic you will be studying. If all of the above things are done in preparation, you will hardly have to say a word of direction to your kids when you go outside. I’ve noticed that children who are new to nature study tend to be all about the “bling”, but by reading books and doing the occasional object lesson, their eyes are opened to the secret treasures, which can be found out of doors. They come to know what to watch for instead of simply reacting. That said, we trekked off to another latitude for vacation last week, and when we got home I did need to jump-start our study. “Hey kids? When you go outside today, see how the tree buds are coming along.” It sounded like a suggestion, not a direction, but it reminded them of the adventure we had started before we left. Of course, not all of our out-of-doors time should be spent on special studies. Sometimes I begin with a suggestion to get them started, but then I let them veer off from there. Other times I say nothing at all. Who knows what surprises they will find. As a last step we might draw in our nature study notebook. Much has been said about this topic already, so I will only add that I’m concerned that as a community, we may be limiting the way a nature study notebook is to look, or be used. Frankly, I think the student should use it however they are most inspired to use it. There should be no right or wrong way. I suggest you think carefully about how they are used in your school and what requirements you impose. Charlotte Mason knew the importance of the study of natural history, as well as simple out-of-doors time, which is why she insisted that we not forsake it. Any outside time is better than none. But she also knew that we could spoil it for our students by over teaching it. By following the principles she has outlined for us, we can do it well, and provide our children with the rich benefits of the outdoor classroom. 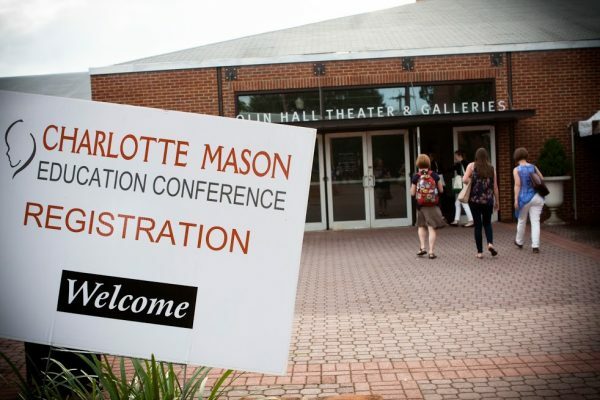 You can learn more by attending Ms. Williams sessions at the 2015 Charlotte Mason Institute Conference. For information see: CMI Conferences.